9 part series. Each design in 146 x 54 but the whole design is 146 x 470 when stitched together. 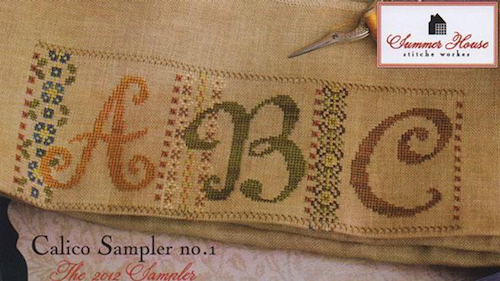 This project uses Algerian Eyestitch and Herringbone stitch. IMPORTANT: For the entire series, you may require more than one skein of each colour. The model is stitched on Weeks Dye Works 30ct Straw. We also have Weeks Dye Works 35ct Straw and Weeks Dye Works 40ct Straw.